What poker game is best for a beginner? - Casino Answers! 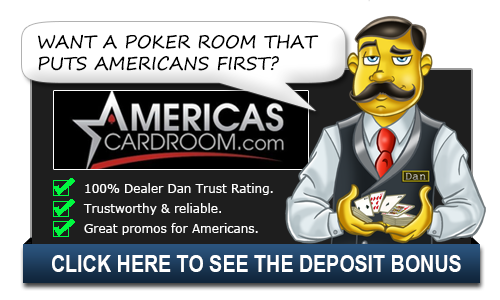 Casino Answers » Poker » Online Poker Beginner Q&A » What poker game is best for a beginner? Many players are under the illusion that all it takes is a small deposit and a little skill and they can start becoming a winning player right away. This is extremely rare though and it takes both time and effort to master even the smallest stakes. There’s also the matter of what a player is looking to get out of poker at this stage, meaning how committed he or she is to learning the game versus merely being entertained. I always recommend that beginning players focus on both. You’re going to need both a game you enjoy and one that you can develop your skills with. The best choice in my mind that is fun to play, is extremely educational, and also provides a lot of mileage bankroll wise is heads up SNG’s (Sit and Go’s) at the smallest buy-ins. As with any game though, you will need some preparation, including mastering some of the simpler concepts. However, instead of spending your time mostly watching, you’ll be actively involved in every hand, and the lessons will come much more quickly than with other forms of poker. In addition, the lessons learned while playing heads up are transferable to just about every other form. If you’re looking to learn the essentials of what it takes to become a good poker player, there’s no better training ground than Full Tilt Poker. They have free money rooms and micro stakes games as well. There are always plenty of tournaments going on and it is a very welcoming environment for a new poker player. How should I get started in poker? There are many ways of starting off in poker, but the most important way is by reading, and then playing poker at stakes your bankroll can sustain. You can get yourself acquainted with the rules and structure of play by playing on “play money” tables on sites like Pokerstars, but this won’t teach you nearly as much as a book like Getting Started in Hold ‘em or Phil Gordon’s Little Green Book. These books will teach you enough that you can grasp the fundamentals of poker, and begin playing for money. When you don’t play for real money, players play too erratically and without logic, and it is difficult to get a grasp for poker as it is normally played. So with some reading under your belt you can begin to play micro stakes poker (.5/.10 stakes for example) with a small bankroll of 100 or 200 dollars. You can then begin applying the concepts you have learned in books to real world play, and begin to learn more on your own. Many online poker rooms offer ways to play for free, including freeroll tournaments. Fortune Poker is known for some great freeroll tournaments.